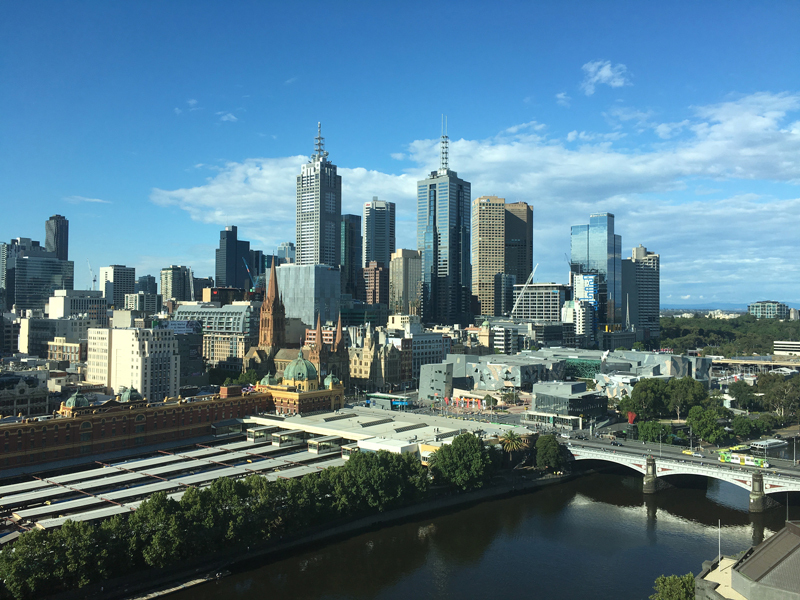 A trip to Melbourne for a job fair in 2016 reminded us that posh western hotels, with English speaking staff, can be just as frustrating as any foreign hostel or lumpy mattress disaster. Firstly another M Green gets a key to our room. We found this out when the porter showed up to deposit his / her bags. No worries, the front desk will fix it, leave it with them. A ‘clerical error’ means that the ‘full buffet breakfast’ on the reservation confirmation won’t be honoured. Hmmm, good thing I don’t eat breakfast and there is complimentary coffee in the room. Oh, its instant coffee. Well then its a good thing we are in Melbourne, a city known for its excellent cafes. When we return to our room there is a letter for the other M Green and items that don’t belong to us. Sigh, back down to reception we go once again. Back and forth with the concierge in an effort to show that I am in fact a different M Green to the one they think I am. Acknowledgement leads to an upgrade with full ‘Club’ privileges, except breakfast. Oh well, a win is a win – right? Nope. The upgrade causes our credit card to be charged twice for the stay leaving us seriously short of funds for the trip. Another frustrated adventure to reception results in a free bottle of wine, which was really nice, however the cleaner left the wine glasses soaking in our bathroom sink the next day and forgot to remove them from the room. What else can go wrong? Stupid question. After approximately ten job interviews during the first day it became abundantly clear that I was not going to secure a job as a teacher without experience and I was not going to get experience without a job as a teacher. Classic catch 22. Back to the room, check for other M Green’s belongings, wash wine glasses, spend remainder of the evening rewriting CV and researching management positions within the schools that are attending. One school in Dhaka, Bangladesh looks promising. Just a small problem, I need to have teaching qualifications in order to be employed. Last day at the hotel. The other M Green has already checked out, but didn’t pay our bill 😉 Still no breakfast, but Club privileges have us enjoying a cocktail on the top floor. A lucky discussion with a gentleman from a Swiss school has encouraged me to rewrite CV once again and focus on my management skills. Six weeks later I was on a plane to Oman for a job interview.